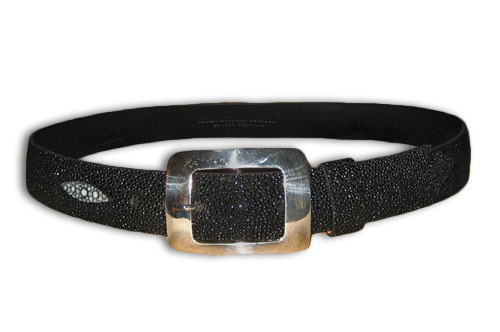 1 1/2" Radius Cut Stingray belt with Sterling Silver Buckle from Peter Hoffman. 3 color options available. Each belt is lined in harness leather and bear his signature stamp. 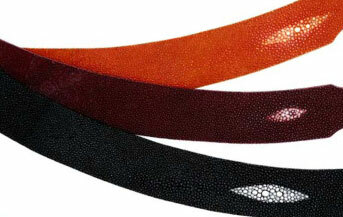 Hoffman stingray belts come with a lifetime guarantee. Belt and buckle available for purchase separately in the drop down menu. See menu for a la carte pricing. Custom colors are available. Contact us for more information.